Opening in 2017, the OPRF Museum is an 1898 firehouse transformed into an eco-friendly facility with geothermal HVAC system and high efficiency LED lighting throughout. The designated Oak Park Landmark features a restored interior, a public research center, and regular programs and exhibits that tell the stories of the unique villages of Oak Park and River Forest.​ Scroll down to read more about the architecture, the history, the renovation, and our plans for the future of our building. Built in 1898 to serve as Cicero Fire House No. 2, our museum is the only municipal building in Oak Park that predates the incorporation of the village. 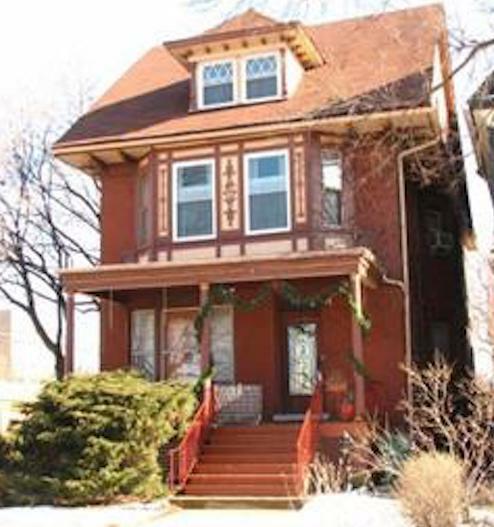 It was designed by architect and Oak Park resident William J. 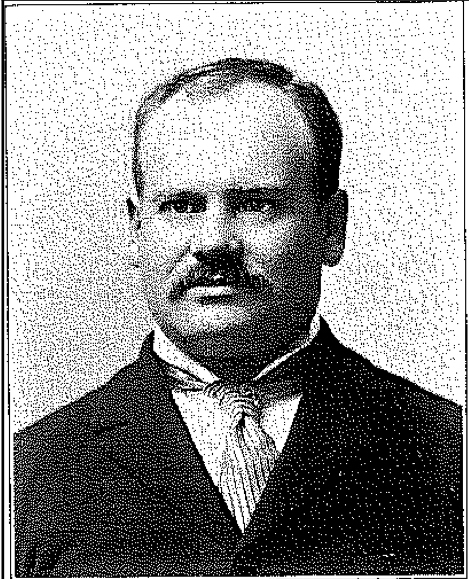 Van Keuren (1853-1915). 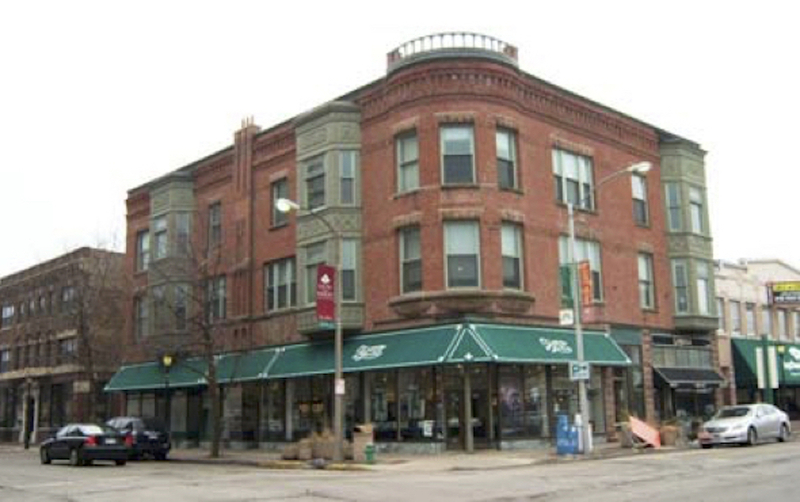 Van Keuren left his mark on Oak Park as a prolific designer of homes and commercial buildings in a variety of styles from the late 1880s through the first decade of the twentieth century. Among the many Van Keuren designs that still stand on our streets are the Niles Block on the southwest corner of Marion Street and South Boulevard, the H. B. Noyes House at 329 Wisconsin Avenue, the William Cribben House at 330 S. Euclid, and Van Keuren's own home at 100 Clinton Avenue where he lived from 1897 until his death in 1915. Van Keuren designed Cicero Fire House No. 2 in the Richardson Romanesque style, named after Henry Hobson Richardson, the architect of Glessner House in Chicago. During the latter third of the 19th century, Richardson Romanesque was a very popular style for public buildings because of the sense of strength and permanence it projects. Among the elements emblematic of the style that may be seen in our building today are: the rough-cut sandstone and contrasting brick facade; the large, rounded arch windows at front of the second floor; the contrasting decorative stonework bordering these windows; the original multi-pane transom over the front door; and the tall and narrow Italianate windows along the sides of the building. Other Richardson Romanesque details that are now gone from the building that can be seen in photographs from the turn of the 20th century include: the ornate parapet with embellished central Romanesque arch that echos the second floor windows; the decorative cornice that ringed the roof; and the heavy wooden wagon doors with lattice windows. The Niles Block, Marion St. & South Blvd. Van Keuren House, 100 Clinton Ave. 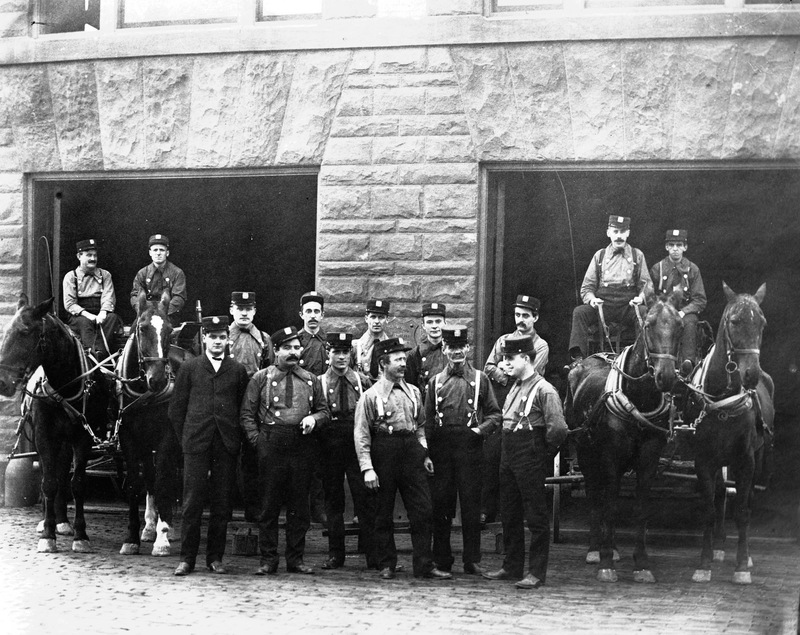 In 2007, the Oak Park Historic Preservation Comission designated Cicero Fire House No. 2 an Oak Park Landmark. Even though the building had gone through some rough treatment, the exterior was still an outstanding example of the Richardson Romanesque style and an important physical connection to a pivotal era in the history of the village. The same could not be said for the interior, or so it seemed. At first glance, it appeared that no trace of the original interior remained, but there were some wonderful surprises in store once the work of converting the building to a museum began. The building that is now Oak Park River Forest Museum has served our community in many roles since its construction. As the oldest municipal building in Oak Park, built before the village was incorporated, this structure holds a unique place in the community’s history. Its uses were many and at times overlapping. It has been a fire station, a seat of local government, a public works depot, a meeting hall, a youth recreation space, a public works office and shop, a health department, and more. When this building opened in 1898 it was a replacement for the original wooden-framed Cicero Fire House No. 2 which stood on the north side of Lake Street just east of Ridgeland Avenue. It was staffed by members of the all-volunteer Ridgeland Fire Association. The RFA had been organized in 1886. Residents of Ridgeland worried about the threat of fires, especially grass fires in the area's open prairie that were often touched off by embers flying from the smokestacks of passing Chicago & Northwestern Railroad steam engines. Ridgeland was one of the first neighborhoods in the western suburbs to install fire alarm boxes and connect them to the fire house. From the moment of the building’s opening in December 1898, its “fine hall” on the second floor was used for public meetings. This social hall became an anchor in the Ridgeland community. After the village of Austin was annexed by Chicago in 1899, the Cicero Township Board held its meetings here for over a year. The people of Ridgeland used the building for all sorts of social and recreational activities. The Grand Army of the Republic, the Civil War veterans group, used the space as its permanent meeting hall and the second floor soon became know as "GAR Hall." In 1902, the villages of Ridgeland and Oak Park withdrew from Cicero Township and incorporated as the Village of Oak Park we know today. Two years later, the volunteer Ridgeland Fire Association disbanded, replaced by professional firefighters of the newly formed Oak Park Fire Department. The Oak Park Fire Department used Cicero Fire House No. 2 as the village’s east fire station until 1916. By that time, changing technology and demographics had rendered this buiding obsolete. It had been designed in the era of horse-drawn fire wagons and was less suited to the gasoline powered equipment of the day. Oak Park's population was spreading, no longer concentrated in a narrow corridor along Lake Street. 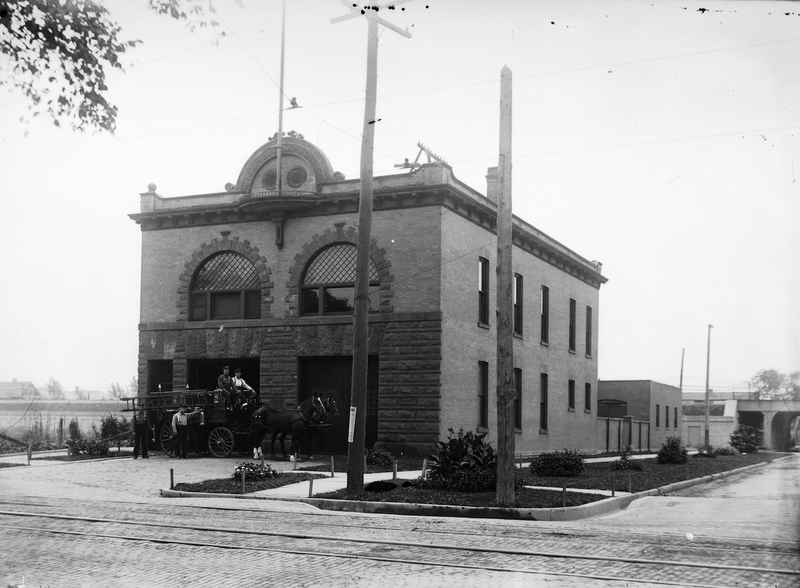 The main Central Fire Station for Oak Park was located in the Village Hall building at Lake Street and Euclid Avenue. A station to serve south Oak Park was built at Harrison and East Avenue in 1913. And the old Cicero Firehouse No. 2 was replaced by a new station on Augusta Street between Lombard and Harvey Avenues to serve the burgeoning population of north Oak Park. GAR Hall and its role as a venue for public events came to an end in 1952. The Village of Oak Park Health Department had outgrown the office space it was renting in a local commercial building. The Village closed GAR Hall and converted the second floor into offices which would be home to the Health Department for 40 years. When the Health Department eventually moved out, the entire building was taken over by the Public Works Department. The building was vacated in 2007 when the new Oak Park Public Works facility opened at Lombard Avenue and South Boulevard. The old Cicero Fire House No. 2 would stand empty for almost a decade. The Historical Society of Oak Park and River Forest had been looking for a new home for several years. The Village of Oak Park offered to lease the old fire house to us for $1 per year, provided that the Historical Society pay all the maintenance costs and raise all the money necessary for renovation. No tax dollars would be given to the project. After years of work, planning and fundraising, the renovation began in earnest in 2015. It culminated with the official grand opening of Oak Park River Forest Museum on September 16, 2017. The old Cicero Fire House No. 2 has been reborn and again is serving our community as a venue to collect, remember, and retell the stories of Oak Park and River Forest. After several years of planning, organizing, and fundraising, the conversion of Cicero Fire House No. 2 into Oak Park River Forest Museum finally began in 2014. And it began with demolition. 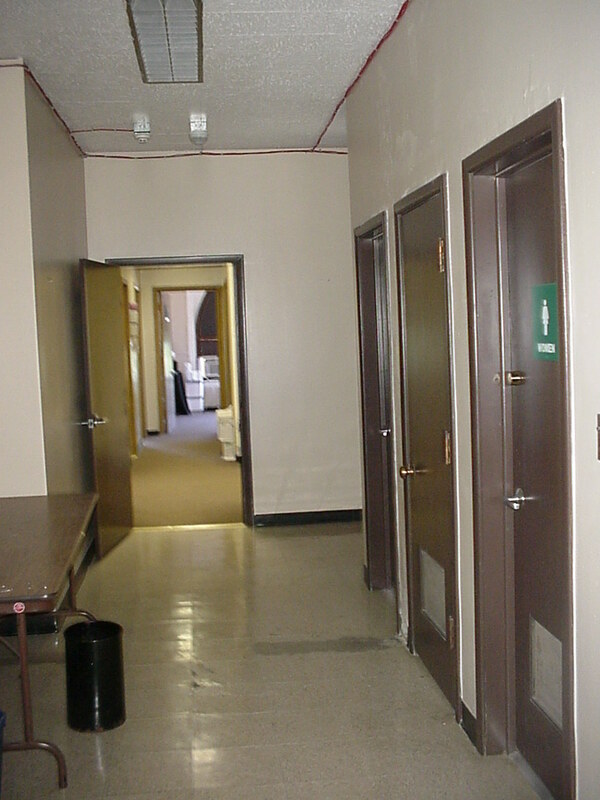 The interior was a warren of narrow hallways and small drywalled offices with suspended ceilings and flourescent lights. The floors were covered with asbestos tile. The electrical and plumbing systems were outdated. There was no fire sprinkler system and no central cooling. Heat was supplied by an ancient network of steam radiators supplied by an aging oil-fed boiler. There was almost nothing visible that predated 1955. 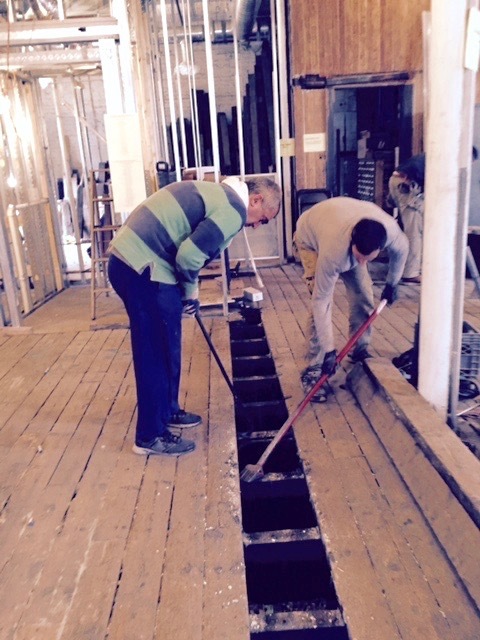 As the walls and ceilings started to come down and the floors were pulled up, the 1898 bones of the old brick fire house began to reveal themselves for the first time in several decades. Hidden behind the layers of drywall and above the suspended ceiling tiles and flourescent lights were the original decorative pine bead board walls and ceiling. Beneath the worn, cracked asbestos tile and plywood sub-floor were the 2-inch thick Georgia pine floors that felt the hooves of the horses and the wheels of the fire wagons a hundred and twenty years earlier. We even found the original holes in the first floor ceiling where the firepoles were and, at the rear of the second floor where once was the hayloft for the fire horses, we found the remains of grain that had slipped between the floor joists! But simply stripping the building back to its original surfaces would not be enough to save this grand old edifice. It was crucial to look past its 19th century roots into the 21st century if the building was truly going to serve the villages for decades to come. The building was completely rewired to meet 21st century standards. All of the plumbing throughout the building was replaced. A fire sprinkler system was installed for the first time. New insulation was added for energy efficiency. Masonry repairs were made. A new roof was added. The most expensive element in the modernization of the former fire house-- but undoubtedly the most important--was the installation of a new heating and cooling system. We installed a state of the art geothermal HVAC system, since the Museum needs more rigorous and cost-effective humidity controls. Geothermal HVAC was a costly part of the project, but the energy efficient and eco-friendly system will recoup the higher upfront costs with better performance and energy savings for years to come. And, for the first time, the museum is housed in a facility with the kind of modern temperature and humidity controls that are vital to conserving our collection. Once the building was deemed structurally sound and the 21st century utilities had been installed, we could begin refinishing the original wall, ceiling, and floor. The beadboard was stripped of layer upon layer of paint and varnish and shellacked as it likely was in 1898. The floors were very worn and pitted but rather than sanding the floor down, we simply flipped the floor board over to expose the smooth underside that had been hidden for over a century. Lighting fixtures were installed that evoked the 19th cenury ethos of the building but were designed to use energy efficient vintage-looking LED bulbs. The tile in the two new bathrooms, the kitchenette, and the vestibule was donated by Heritage Tile of Oak Park and installed by Elite Tile. The rear of the first floor, which in 1898 was the stable for the fire horses, was converted into the Fields Research Center, housing an outstanding collection of photographs, books, monographs, newspapers, clippings and other historical resources about Oak Park and River Forest and two computer work stations for researchers. Finally, two new brand new bathrooms were installed with ceramic tile in the style of the era. The Oak Park River Forest Museum renovation took over three years to complete and cost nearly a million dollars, raised entirely from private sources. 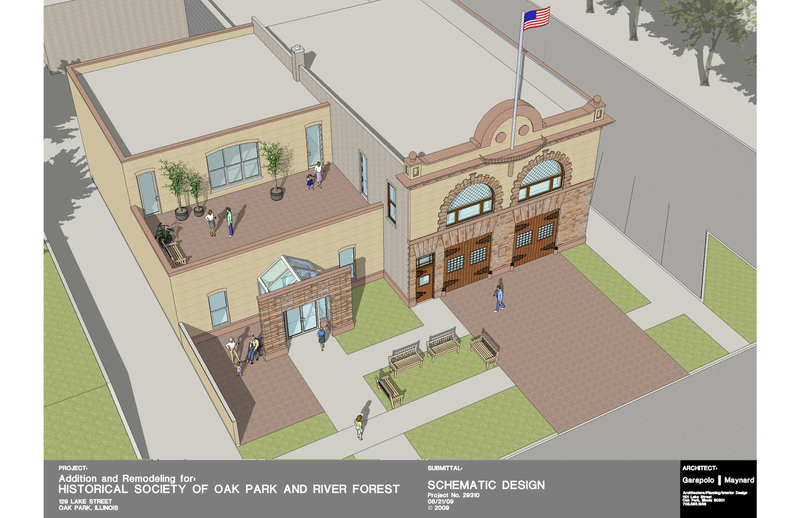 The result of our efforts has been to save a community landmark building and create a place that will serve Oak Park and River Forest for decades to come. Click here for a list of donors who helped make this project possible. Click here for photos of Oak Park Boy Scout Troop 16 helping in the cleanup in October 2015. "Make big plans; aim high in hope and work." Oak Park River Forest Museum is open now to collect, preserve, and retell the stories of Oak Park and River Forest. But this is only the first phase of a far bigger plan. Just as our villages have grown and changed through the decades, so too will Oak Park River Forest Museum. Taking Burnham's advice to heart, we have created a vision for the future that will likely take years to complete. The first, and perhaps most crucial, project will be the installation of an elevator to make the second floor of the museum accessible to all. Next we will restore many of the exterior features of the building, including replacing the front first floor windows with doors that replicate the original wagon doors, recreating the cornice and parapet of the roof, restoring the Romanesque arch windows on the second floor, and more. And, ultimately, we will build an addition on the east side of the building, creating more space for exhibits and events. Below is an architectural rendering of our ultimate plan. Please join us as we strive to make our plan a reality.